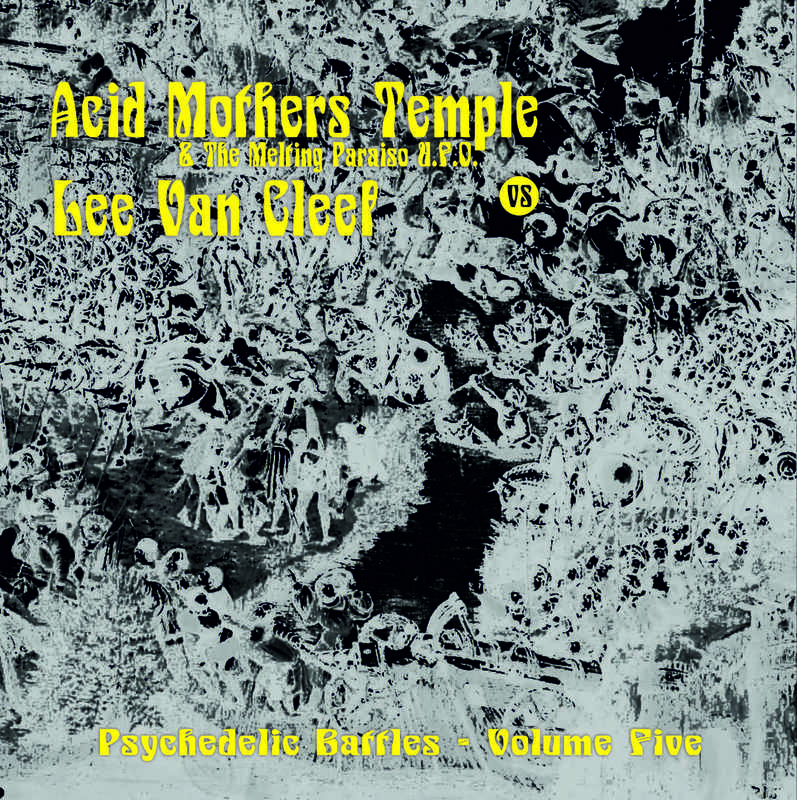 ACID MOTHERS TEMPLE/LEE VAN CLEEF "Psychedelic Battles Volume Five"
Title: "Psychedelic Battles Volume Five">"
Available at the DIRECT STORE! For some inexplicable reasons (fault by the pressing plant) there's a defeat on the end of the song of Side A...we tried to ask the pressing plant to press again all the vinyls, but there's no way...so the only way to listen to the track is to give "more weight" to the tonearm of the turntable. All the vinyls have the same defeat. We apologize for that and we guarantee that for the next vinyl we will change the pressing plant.